You prefer your day to be clearly scheduled and organized. You monitor your resources carefully. You know what's in your checking account, your refrigerator and your tool box. You take time seriously. You are punctual. You get a sense of control by taking charge of your environment by making choices early. You prefer your day to be spontaneous. You like it to "unfold" naturally. You believe you can deal with whatever the day brings. Your resources will be there when you need them. No need to monitor them. Your choices are made on the basis of personal desires...not on the clock or some other external structure. You get a sense of control by keeping your options open...not making a choice until it's absolutely necessary. When a person who's afraid of freedom is sufficiently stressed he/she will view the person embracing freedom as dangerous. Freedom becomes toxic and threatens to destroy stability. For example: "If you don't reign in your spending and live by our budget we will go bankrupt!" Or, " If you don't discipline the kids more consistently they will turn into juvenile delinquents." Or, "If you don't stop talking to your 'friend' at work, I can't stay in this marriage." 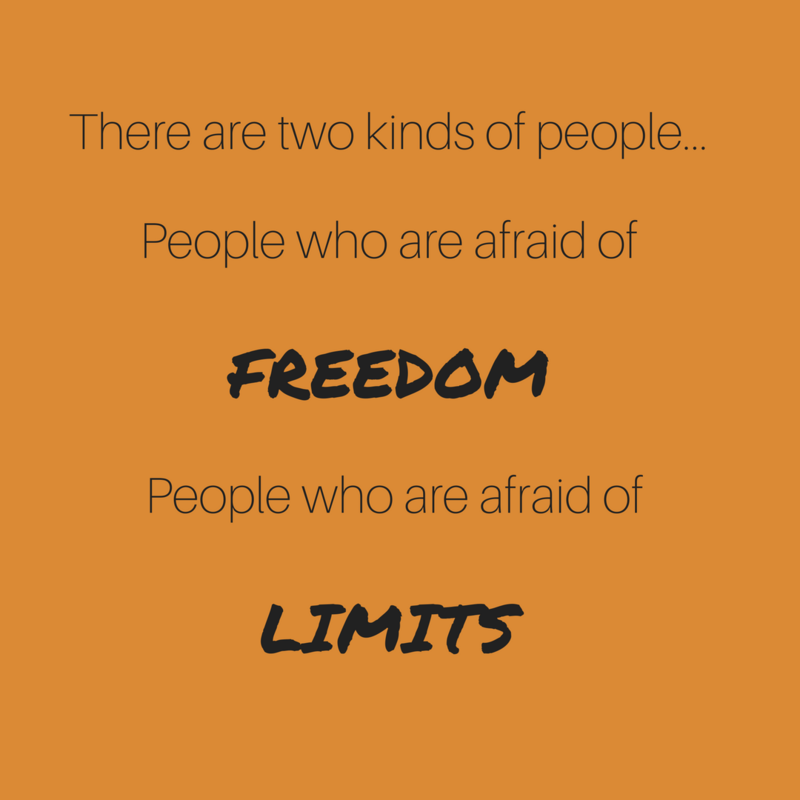 When a person who's afraid of limits is sufficiently stressed he/she will view the person embracing limits as dangerous. 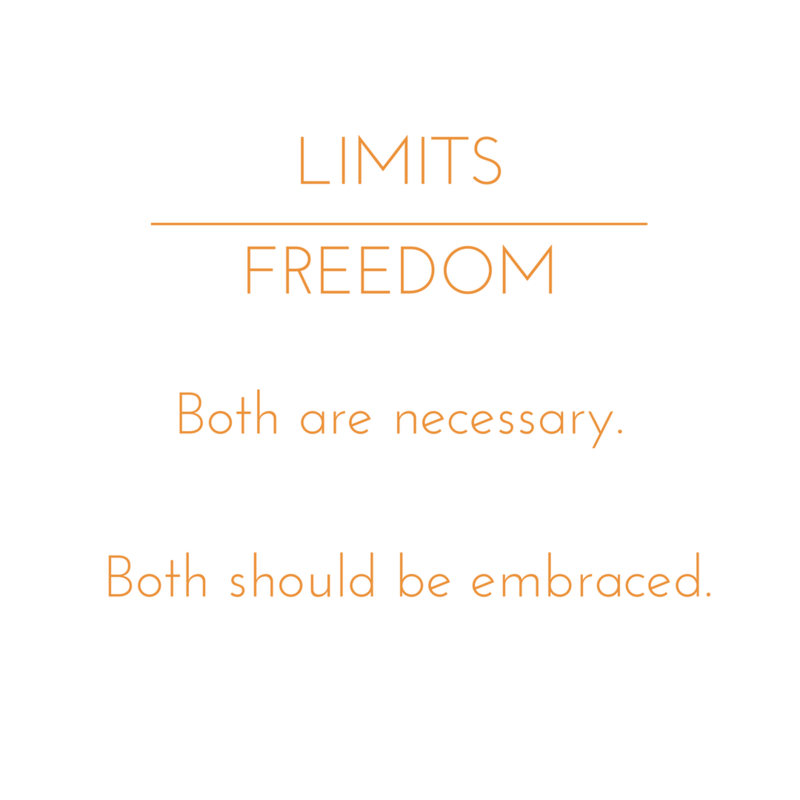 Limits become toxic and threaten to destroy a sense of freedom. For example: ​"If I have to check with you or the budget every time I need to buy something I might as well be in jail with you as the warden." Or, "They are kids! Let them have some fun. You are always on them. That's why they don't like you." Or, "I have a right to decide who I want to be friends with. You need to back off and trust me!"